We are considered in the market to be one of the leading manufacturers, traders and suppliers of this commendable range of CLC Mixers & Cutting Stations. The range is widely praised for its superior performance and longer service life. 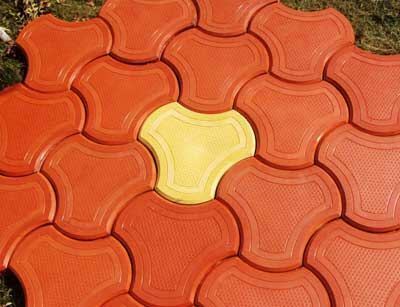 Owing to our well-established infrastructural facilities, we are occupied in manufacturing and supplying a wide range of Cellular Lightweight Concrete Blocks, Interlocking Paver Blocks, Designer Floor Tiles, Kerb Stones and Channels, PCC Fencing Poles, PCC Electricity Poles, Directional Tiles, Paving Tiles, etc. These products are manufactured by our highly skilled professionals using the finest quality raw materials and cutting-edge technology. The offered products are well-known among clients for their durability, low maintenance, easy to operate and high efficiency. In addition to this, clients can avail from us a wide range of Automatic CLC Mixer, Belt Conveyor, Interlocking Paver Square Block, Damroo Interlocking Paver, Spade Interlocking Paver, etc. These products are processed using high quality basic material and advance technology.